From Episode 9 onwards, the characters attend university. All but Li Ru Ping attends the same university. This includes Yan Li Zheng. Yan Li Zheng’s exam results did allow him to choose any university he wished to attend. However, to make Zhong Shao Xi’s New Year’s Day wish come true, he chose to attend the university Zhong Shao Xi’s exam results allowed her to get into. Zhong Shao Xi’s wish was to be able to attend the same university as Yan Li Zheng. The living arrangement for Zhong Shao Xi and Yan Li Zheng as well as Wang Jin Li is they all are neighbours. Yan Li Zheng takes up the place sharing a balcony with Zhong Shao Xi’s place. This is all with the help of Zhong Shao Xi’s dad who had asked the landlady to help reserve the place next door to Zhong Shao Xi’s. Meanwhile, Wang Jin Li persuaded Jin Yu Bin to swap his place for his more luxurious one that was located elsewhere. That has Wang Jin Li live in the place on the other side of Zhong Shao Xi’s. This keeps the three close by to each other. It allows for opportunities for Zhong Shao Xi to be aware of the things going on around Yan Li Zheng and Yan Li Zheng and Wang Jin Li aware of the things going on around Zhong Shao Xi! :oD :oD. Episodes 9 & 10 are episodes that sees Zhong Shao Xi losing friends. It starts with Yan Li Zheng deciding he should change the status of his relationship with Zhong Shao Xi from friends to just high school classmates. 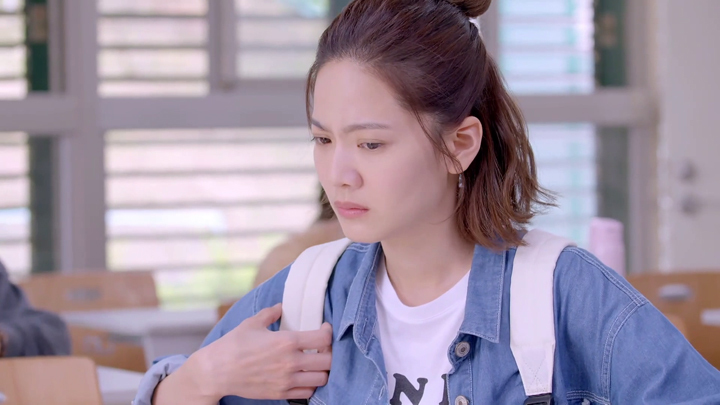 Then, the two friends Zhong Shao Xi comes to make in university, she loses their friendship after Zhong Shao Xi’s three high school enemies (seen in Episode 1) schemes to make her time at university a lonely one. Zhong Shao Xi is brought down by it for a bit of time, but she bounces back from it and returns to her usual self after Yan Li Zheng has a talk with her and has her see that she isn’t someone who gets brought down by bullies! Awww. Yan Li Zheng really can’t NOT be a friend to Zhong Shao Xi! 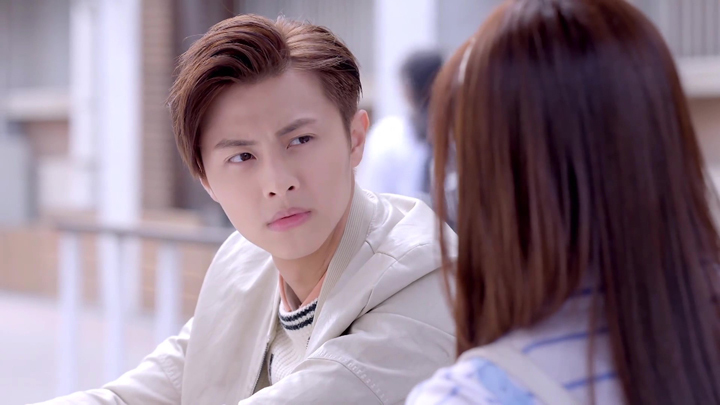 Yan Li Zheng changes his relationship status with Zhong Shao Xi from friends to high school classmates after Wang Jin Li accuses Yan Li Zheng’s action of coming into his study session with Zhong Shao Xi as an example of using his friends status to stop others from having any chance with Zhong Shao Xi. 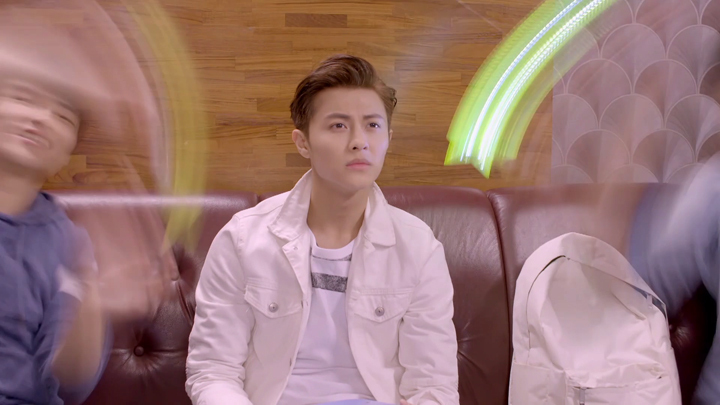 Yan Li Zheng doesn’t get the chance to respond to Wang Jin Li when Zhong Shao Xi comes in with an explosive reaction. She shoves Wang Jin Li out of his seat and onto the floor. She criticises Wang Jin Li for giving his view on something that’s of no business to him. Yan Li Zheng seems to see Wang Jin Li’s point about his behaviour. He releases Zhong Shao Xi from her title of ‘Yan Li Zheng’s friend’ and allows her to be with the new ones she’s made. The two new friends Zhong Shao Xi has made are a couple of girls called, Heng Heng and Xiao Ha. Yan Li Zheng makes his own friends. These are a couple of guys and Bai Bai (Dewi Chien)—the school beauty. She is the incoming love rival for Zhong Shao Xi. Yan Li Zheng isn’t able to keep Zhong Shao Xi out of his mind, though. 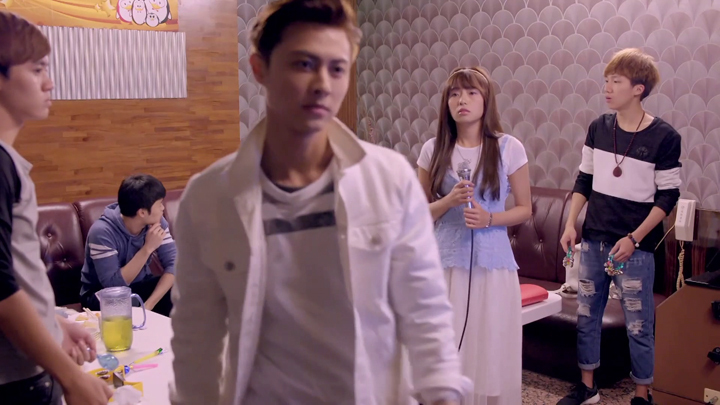 During the karaoke outing that he goes with his new friends, Zhong Shao Xi pops into his thoughts unexpectedly. 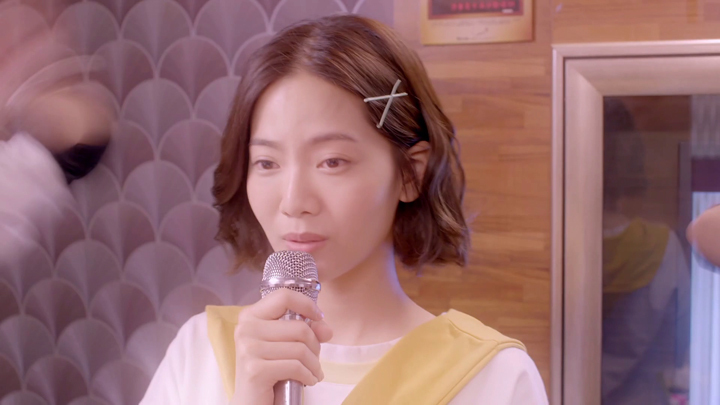 Zhong Shao Xi appears in his mind when Bai Bai directs the song she selected to sing to him. The song is the one that Zhong Shao Xi associates to Yan Li Zheng with when she hears it. Seemingly, it’s the same for Yan Li Zheng. When the song, Close to You by Karen Carpenter, comes on and Bai Bai starts singing it, Yan Li Zheng sees Zhong Shao Xi singing it to him. After some time spent in a trance, Yan Li Zheng realises his own thoughts and breaks out of it. He shuts the song down and stops Bai Bai from continuing to sing it. Yan Li Zheng doesn’t stay around after this. He leaves the gathering and wanders about the streets aimlessly. When Zhong Shao Xi is asked about whether she sees any differences between university and high school, she lists a few which she finds upon feeling the distance that now exists between herself and Yan Li Zheng. 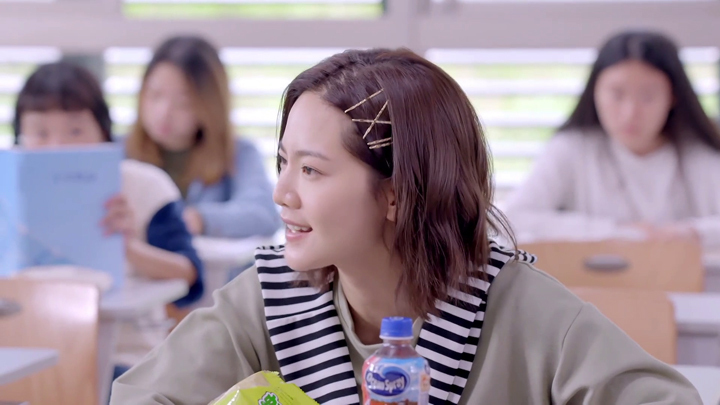 Seeing Yan Li Zheng around with his new group of friends in the distance as she moved about the campus with Heng Heng and Xiao Ha, she finds that university is a vast place. There isn’t the intimate or close-knit environment that high school has. She goes onto expressing how skipping classes didn’t have the same fun feeling that skipping in high school has because no one kept a watch on whether you skipped class or not at university. 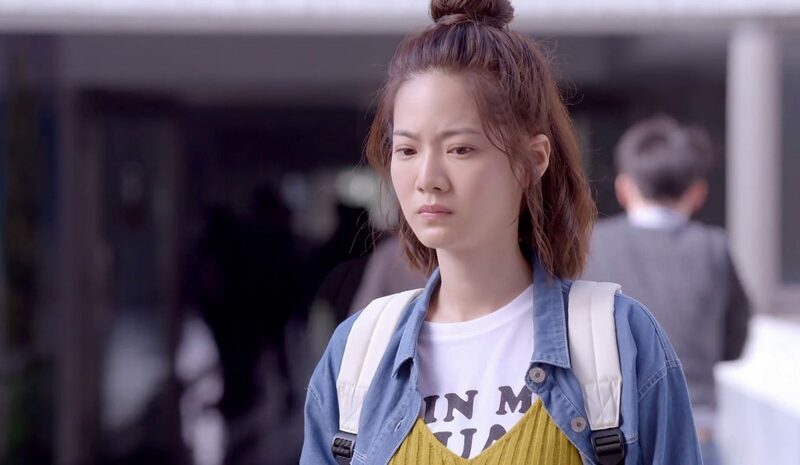 The biggest difference Zhong Shao Xi notes, though, is that her high school best friend has changed his relationship status with her for a reason she isn’t sure of. Not long after making friends with Heng Heng and Xiao Ha, Zhong Shao Xi has a fall out with them. This comes about through the scheming of Zhong Shao Xi’s three enemies who wished to make Zhong Shao Xi lose them as friends. They make their move in the ladies’ room with holding Heng Heng back from leaving. We aren’t shown what happened between Heng Heng and the three girls here, but after this encounter with the three girls, Heng Heng and Xiao Ha began casting Zhong Shao Xi out as their friend. This is seeing Heng Heng inform Zhong Shao Xi she isn’t able to be in their group for the class assignment. The reason Heng Heng gives for this is that Xiao Ha already brought her friend into their group and the group was now full. Heng Heng’s behaviour being pretty normal and her reason for not forming a group with Zhong Shao Xi ordinary too, Zhong Shao Xi says it’s fine. She will just look for another group to join. The change in Heng Heng and Xiao Ha’s behaviour that Zhong Shao Xi doesn’t notice has Zhong Shao Xi wait for Heng Heng and Xiao Ha to show up at a Korean BBQ place they talked about going to eat at after their classes. They don’t end up showing up. They chose to go to karaoke with the three girls. Wang Jin Li’s two friends and An Xiao Qiao were there also. Wang Jin Li showed up but left after the girls indicated to him that Zhong Shao Xi was waiting at the Korean BBQ place by herself. He had asked where Zhong Shao Xi was when he didn’t find her at the karaoke gathering. The explanation the three girls gave was nothing that Wang Jin Li saw as true and this was what brought him to leave the gathering and go accompany Zhong Shao Xi at the Korean BBQ place. The three girls said Zhong Shao Xi didn’t choose to come because spending time with university friends was boring to her. They said Zhong Shao Xi said she would rather spend her time at the Korean BBQ place where there were good-looking waiters there. 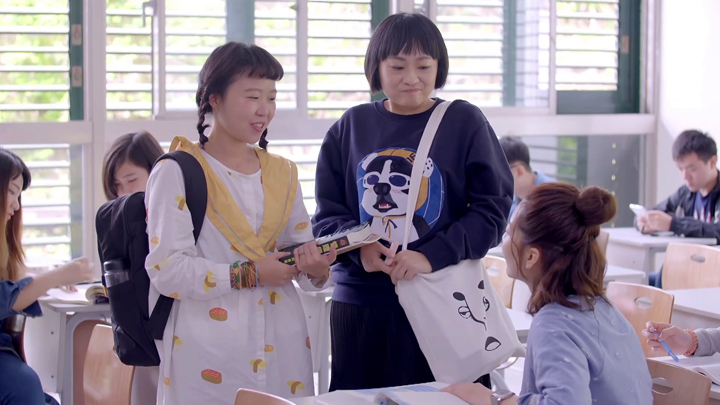 Heng Heng and Xiao Ha brings Zhong Shao Xi to understand they are no longer friends the next time they have class together. 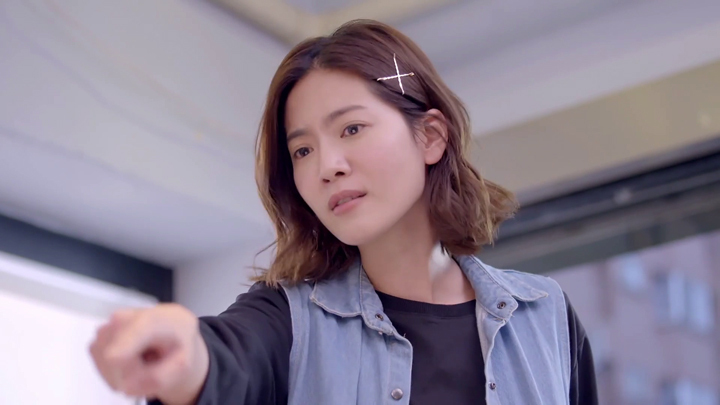 When Zhong Shao Xi goes to Heng Heng and Xiao Ha saying she had waited a long time at the Korean BBQ place, Xiao Ha is quick to defend their no-show with accusing Zhong Shao Xi of making them sound like they had stood her up. Xiao Ha indicates she and Heng Heng didn’t do anything like that because she says it’s Zhong Shao Xi, herself, who misunderstood a talk about how tasty the food was at that new Korean BBQ place to mean actually going there. Zhong Shao Xi hadn’t misunderstood, though. The way in which the Korean BBQ place was brought up was because Heng Heng asked where they should all go to eat after their classes. 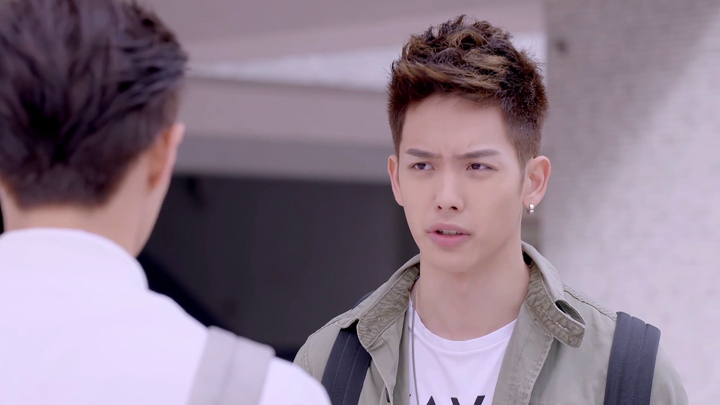 Heng Heng shows exasperation in Xiao Ha spending time explaining things to Zhong Shao Xi. Xiao Ha explains her effort of explaining to Zhong Shao Xi as making sure everything is crisp clear so that Wang Jin Li doesn’t go accusing them of bullying Zhong Shao Xi like he did during the karaoke gathering. Heng Heng and Xiao Ha move away from Zhong Shao Xi after this. They seat themselves away from Zhong Shao Xi. After this event, being amongst people with friends to have fun and hang out with, Zhong Shao Xi feels down. It brings her to visit Li Ru Ping at her university. The meeting is brief when Zhong Shao Xi finds she isn’t able to express the hard time she’s having when Li Ru Ping is getting along very well with others and enjoying her time at university. 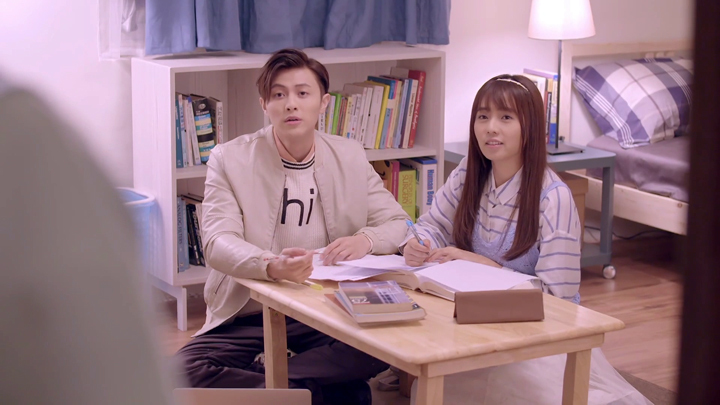 Wang Jin Li is made aware of the hard time Zhong Shao Xi is having after the teacher of the class Zhong Shao Xi has with Heng Heng and Xiao Ha informs him that Zhong Shao Xi has skipped one of her classes. The consequence of skipping three of her classes is failing the class. This brings Wang Jin Li to begin looking for Zhong Shao Xi. He decides to tell Yan Li Zheng Zhong Shao Xi’s situation when he sees him and asks that he informs him when he finds her and he will do the same. Yan Li Zheng manages to see Zhong Shao Xi first. He sees Zhong Shao Xi back at her parents’ house in the evening. They have dinner together before Yan Li Zheng heads back with Zhong Shao Xi. 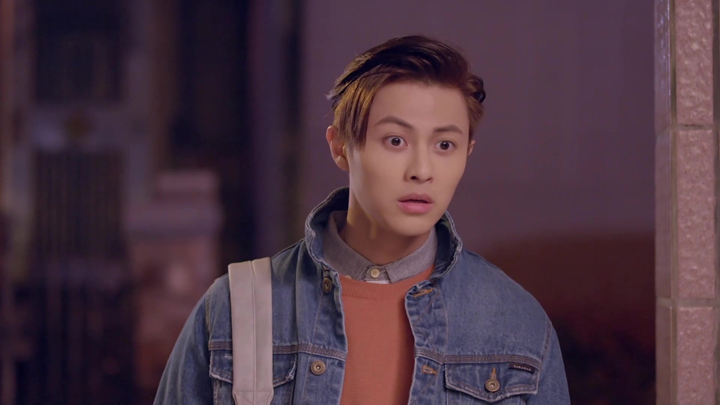 When they arrive back at the student accommodation, Zhong Shao Xi is greeted by Wang Jin Li who brings her into joining him and his friends for (a second round of) dinner. After dinner, Yan Li Zheng gives Zhong Shao Xi some words that brings Zhong Shao Xi back to her usual self the next day where she confronts the three enemies of hers in the direct and confident way that is typical of Zhong Shao Xi. 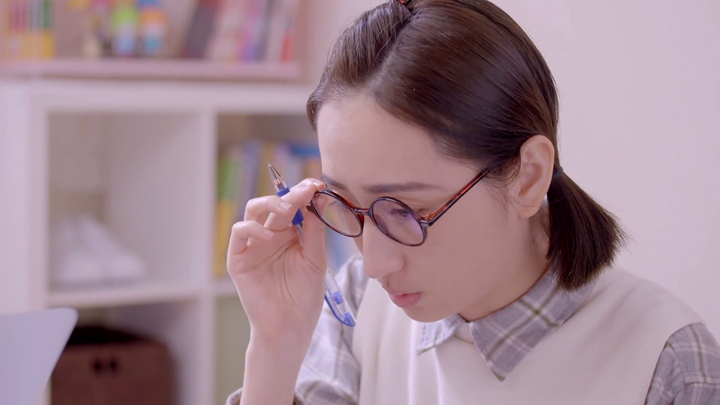 Yan Li Zheng guides Zhong Shao Xi towards seeing that the way she has been handling the problem has not only been incorrect, but very unlike her. 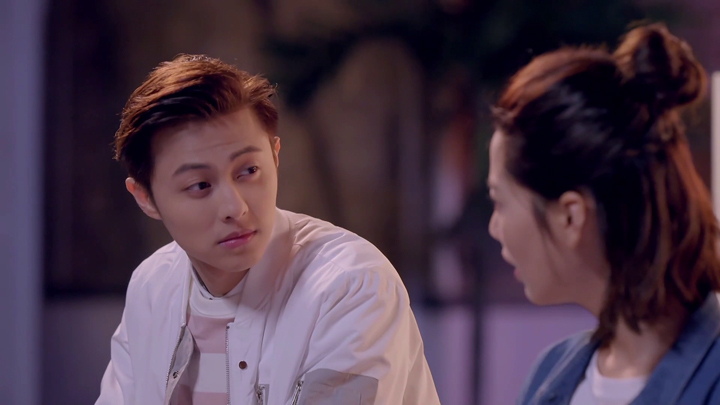 He asks Zhong Shao Xi why she was feeling tired towards Wang Jin Li’s attempt to encourage her to relax and have a bit of fun with bringing over a few friends. Zhong Shao Xi says that though she sees Wang Jin Li’s good intentions, it isn’t doing anything to help resolve the problem. It’s a problem she, herself, needs to confront. This is the way of thinking Yan Li Zheng wants Zhong Shao Xi to have. So, Zhong Shao Xi deals with the three enemies of hers in the way that is typically her. When the three enemies of hers attempt to mock her before class the next day with wondering if she felt lonely sitting by herself, Zhong Shao Xi laughs and explains their dirty trick is too old. She isn’t at all upset over losing her friends. Rather, their trick has allowed her to see that those friends were not her friends to begin with. Bringing some unflattering attention onto the girls, Zhong Shao Xi asks for them to be like how they were in the past when they wanted to go up against her: fight. The class is stunned by the information Zhong Shao Xi has given about the three girls being females who fight. The girls warn Zhong Shao Xi to not spread such random rumours because they are very gentle girls who hate violence. They are gentle girls who don’t even hit a cockroach. The three girls aren’t done playing with Zhong Shao Xi. Yan Li Zheng hears them discussing about another method they have up their sleeve. 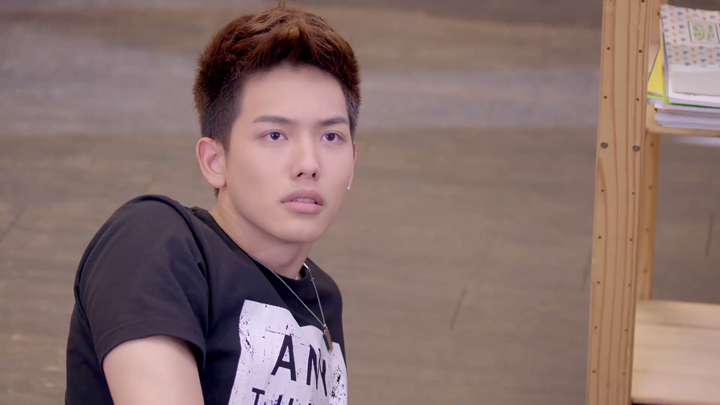 Bai Bai comes in and provides Yan Li Zheng information on the girls. This information isn’t new to us, but it’s seemingly new to Yan Li Zheng with him appearing particularly interested when Bai Bai told him that the three girls were from Jin Pai Girls’ High who fought and caused trouble. The appearance they have now is a new look. 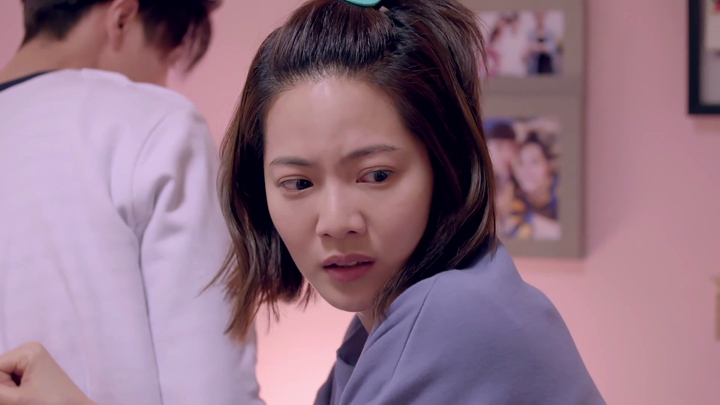 Yan Li Zheng’s interested look that changes to showing disinterest makes Bai Bai feel she has unflatteringly painted herself as a gossiping individual. She asks for Yan Li Zheng to pretend to have not heard it. Yan Li Zheng indicates to Bai Bai she hadn’t made herself sound less appealing in his eyes with what she had just said. He asks her if she’d like to accompany him in having something to eat. Bai Bai happily agrees to accompany him. Yan Li Zheng asking Bai Bai to accompany him in something to eat doesn’t feel like it’s Yan Li Zheng finding Bai Bai’s company pleasant, though. It seems to be another plan of his to help Zhong Shao Xi deal with the bullies. He seemingly is finding Bai Bai beneficial in helping him with this and so he seemingly is keeping Bai Bai near. For the time being, the three enemies of Zhong Shao Xi’s is handled. Zhong Shao Xi focuses on her group assignment with An Xiao Qiao, Jin Yu Bin and a new face, Han Rong (Alice Ke) at her place. Yan Li Zheng also works on his group’s assignment. On this occasion, it’s just him and Bai Bai because the others in Yan Li Zheng’s group had other appointments. 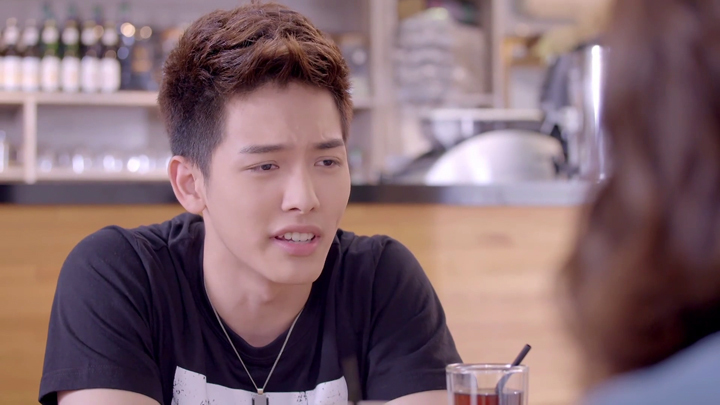 Zhong Shao Xi is distracted with the thought of Yan Li Zheng and Bai Bai alone together in Yan Li Zheng’s place. Zhong Shao Xi goes to Yan Li Zheng and Bai Bai after she and the others finish working on their assignment for the day. Zhong Shao Xi appears to believe Yan Li Zheng and Bai Bai will be continuing to work on their assignment for a while yet and feel they may need some food to keep them going. It’s either that or Zhong Shao Xi is curious to know how long Yan Li Zheng and Bai Bai will be continuing to work on their assignment so she offers to bring some food back for them on her trip to get some food to eat, herself. Bai Bai goes to take up the offer, but Yan Li Zheng says it’s not necessary because they are about to wrap up. The evening goes on to see Yan Li Zheng not wishing for Zhong Shao Xi to get away from him. A sudden topple of a figurine toy has Zhong Shao Xi call over Yan Li Zheng to help her look for the mouse she suspects is in her room. Zhong Shao Xi’s sighting of it brings Yan Li Zheng to fall onto the bed with Zhong Shao Xi on top of him after Zhong Shao Xi leaps from fear of the mouse. The moment of fear turns into awkwardness and embarrassment for Zhong Shao Xi. She goes to get off of Yan Li Zheng. However, Yan Li Zheng brings a hand to Zhong Shao Xi’s back to make Zhong Shao Xi stay put and continue lying on top of him. Awesome cliffhanger. The period of forcing himself to separate from Zhong Shao Xi to give her the chance to meet other people and be friends with other people seemingly has been very, very difficult for Yan Li Zheng—so much so that any opportunity that allows him to be in close contact with Zhong Shao Xi Yan Li Zheng seizes the opportunity! He can’t let it pass with just a brief moment of contact. He has to make it last longer by forcing the contact to be longer! Hehe. This is more like it! 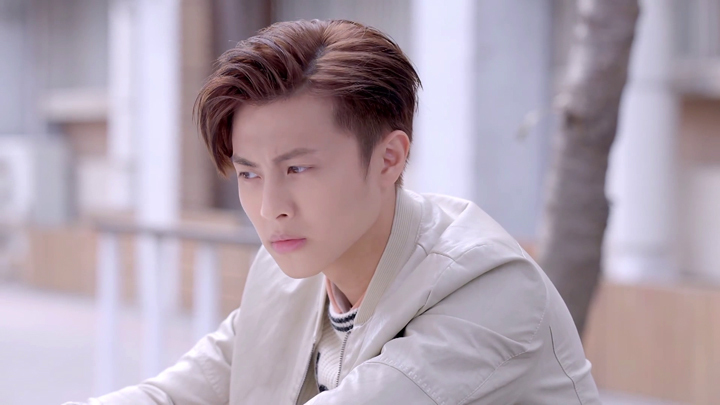 With the part where Wang Jin Li directly asks Yan Li Zheng if he likes Zhong Shao Xi and then criticising his behaviour, we were surprised by the strong reaction Zhong Shao Xi had towards Wang Jin Li. 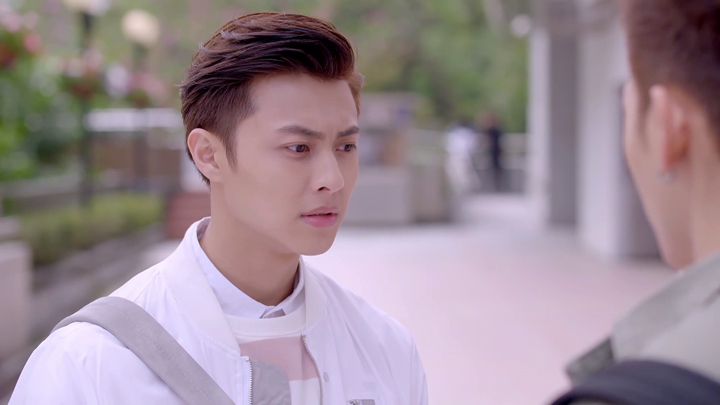 Wang Jin Li was just trying to make Yan Li Zheng be more honest with his feelings. We guess Wang Jin Li did choose the wrong setting to say it. He should have said all those things without the presence of Zhong Shao Xi. Still, that reaction was very unexpected. 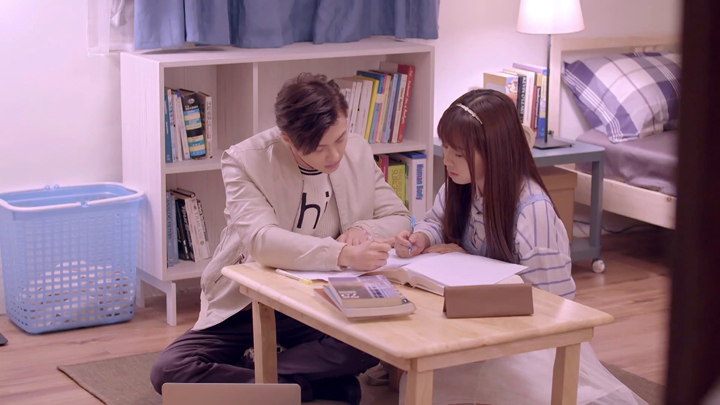 In Episode 10, there were some small moments for the secondary pairing, Wang Jin Li and An Xiao Qiao. There was Wang Jin Li calling An Xiao Qiao, ‘Xiao Qiao’. An Xiao Qiao noticed this. And then a moment we quite enjoyed. It was where Wang Jin Li goes to try feeding An Xiao Qiao some food that An Xiao Qiao didn’t want to eat because the food looked weird. We thought it was interesting that Wang Jin Li went to feed An Xiao Qiao. Not too sure if it’s his previous ways of a player kicking in, but we still thought it was quite cool how he went to feed An Xiao Qiao. Han Rong, a member in Zhong Shao Xi’s group for her class assignment, she stands out with her nerdy and shy appearance. She stands out also because she’s played by Alice Ke—an actress who is a lead herself and is pretty familiar to us. 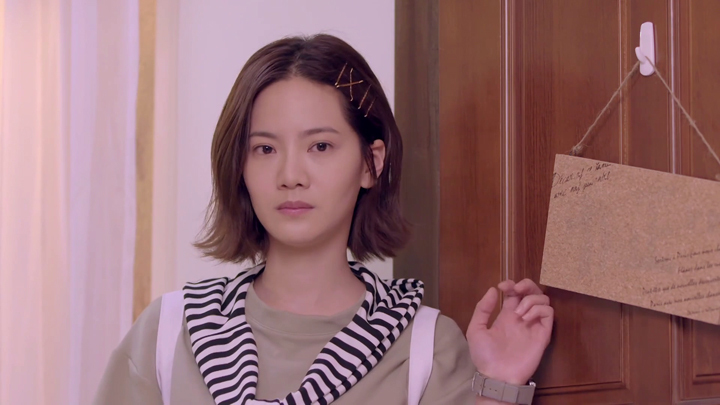 Alice Ke has been in a previous drama with Joanne Tseng, too. This was in the 2015 Taiwanese drama called, ‘Marry Me, or Not’ which Alice Ke played the female lead character and Joanne Tseng played the rival of Alice Ke’s character in that drama. ‘Marry Me, or Not’ was the drama Zhong Shao Xi was watching in Episode 1. 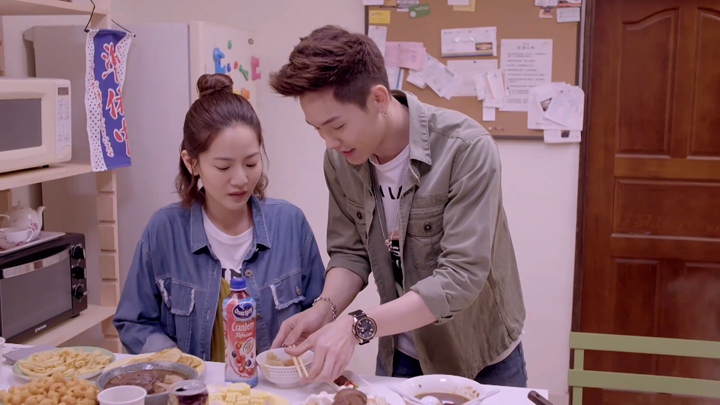 Something interesting is that Alice Ke is Hsieh Kun Da’s wife and both Alice Ke and Hsieh Kun Da makes their special guest appearances in Attention, Love! Awesome. Here’s a moment of jealousy from Yan Li Zheng. “Let her go!” Yan Li Zheng said after he found Wang Jin Li giving Zhong Shao Xi a hug from behind. This was a moment where Wang Jin Li asked Zhong Shao Xi if he could be someone like Yan Li Zheng to her where she goes to him and tells him her problems. 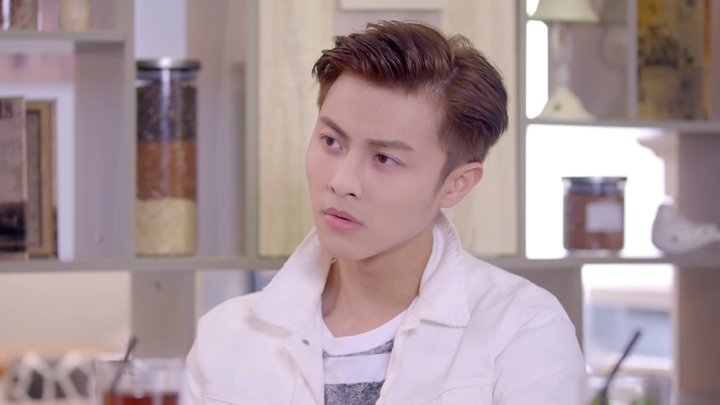 Zhong Shao Xi didn’t push Wang Jin Li away like she usually does when he does something she doesn’t like. 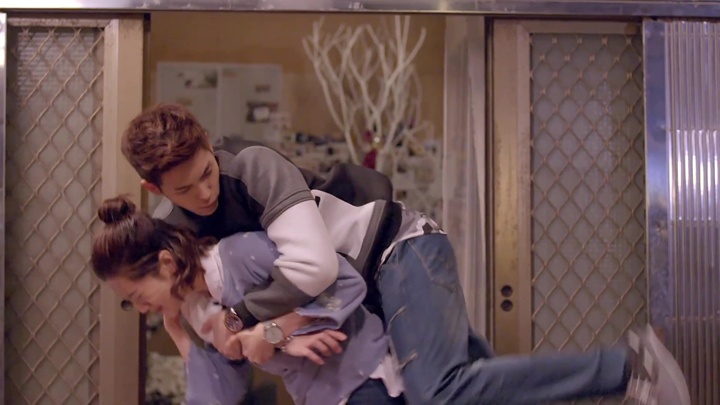 The outcome of Yan Li Zheng’s outburst of jealousy is Wang Jin Li getting injured. As soon as Zhong Shao Xi heard Yan Li Zheng’s voice come in with that command to Wang Jin Li, she flipped Wang Jin Li over her shoulder and brought him to the ground. 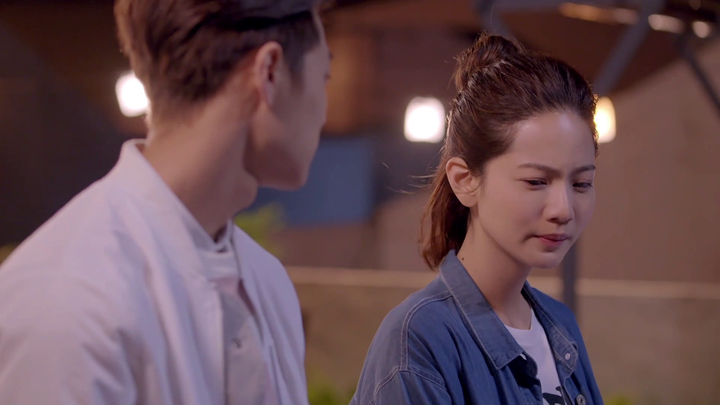 Yan Li Zheng’s jaw dropped at the sight of Zhong Shao Xi’s reflexive reaction and Zhong Shao Xi apologised to Wang Jin Li who groaned from the pain after realising what she had done. Poor Wang Jin Li. The new love rival for Zhong Shao Xi, Bai Bai, she is showing herself to be nice and sweet on the outside, but she looks to have a competitiveness that makes her be a bit nasty. Taking another look at that scene where she tells Yan Li Zheng about how the three girls were females who fought and created trouble, this looks to be Bai Bai’s nastiness coming out. We didn’t notice it at first because it just looks like she was giving factual information about the girls. But she told it after she saw Yan Li Zheng looking at the three girls and after she asked Yan Li Zheng if the three girls were his type. Telling Yan Li Zheng about what the three girls were like seems to be Bai Bai’s way of making the girls she thinks Yan Li Zheng likes the look of look unflattering to Yan Li Zheng. She is not as nice as her appearance exerts! I hit replay for the ending scene many, many, many times. Bwahaha. @Kayohs With someone like Yan Li Zheng who is clueless about his feelings, it’s always fun to see how they respond in moments like that!